What do you LOVE about your dentist? Dr. Childers and our team know how important it is for you to visit your general dentist every 3-to-6 months in addition to brushing your teeth and flossing (and visiting Childers Orthodontics, of course). Your dentist is the office that cleans and checks your teeth before, during, and after orthodontic treatment with Dr. Childers. Regular dental visits are very important to your oral hygiene, which is why we encourage patients to enter our Brag About Your Dentist Contest. 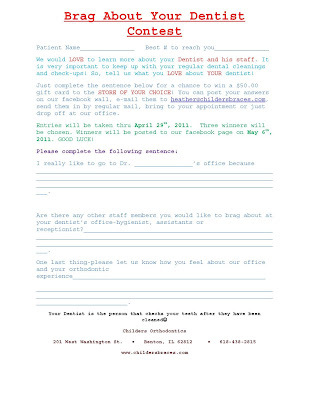 Simply complete the form below about your dentist for a chance to win a $50 gift card to the store of your choice. 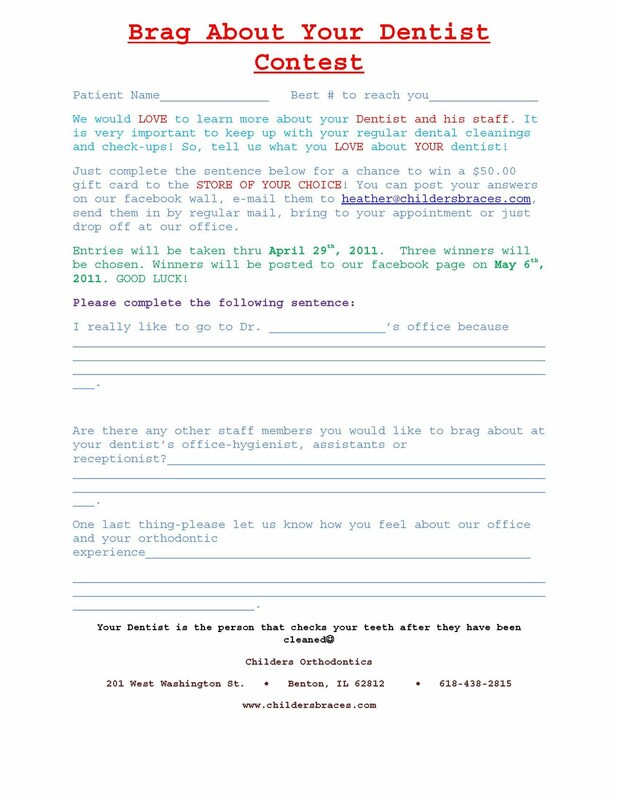 You can post your answers on our Facebook Page, email them to heather@childersbraces.com, mail them, or drop them off at Childers Orthodontics. Entires will be accepted through April 29, 2011, so don’t delay in submitting yours! What Do You LOVE About Your Dentist?